Darryl joined Watsi on November 14th, 2014. Four years ago, Darryl became the 674th member to automatically support a new Watsi patient every month. Since then, 4,412 more people have become monthly donors! Darryl's most recent donation traveled 6,600 miles to support Monicah, a baby from Kenya, to fund brain surgery. Darryl has funded healthcare for 55 patients in 12 countries. Mu is 43-year-old farmer from Burma. She lives with her husband and five children. In her free time she likes to forage for vegetables in the forest with her friends. She has a gallstone and has burning pain in her lower right abdomen. She also suffers from back pain and sometimes she is not able to sleep or eat well due to the pain. Mu has been advised to undergo a cholecystectomy, the surgical removal of the gallbladder. 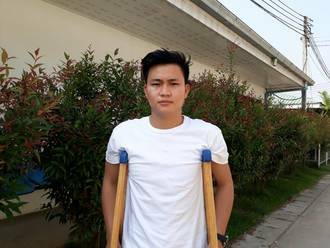 If left untreated, Mu's symptoms will continue to worsen and put him at risk for further health complications in the future. After seeking treatment through our medical partner, Burma Children Medical Fund (BCMF), Mu is scheduled to undergo her cholecystectomy on March 21. BCMF is requesting $1,500 to cover the total cost of Mu's procedure and care. She says, "I hope that I can get well again so that I can help my husband and my son on our farm." Gift is a baby from Kenya. She is this the youngest of four. Gift was born with spina bifida, a type of neural tube defect in which the spine does not properly close around the spinal cord. Without treatment, Gift is at risk of lower-limb paralysis, infection of the exposed nervous tissue, development of tethered cord syndrome, and possible developmental delays. Our medical partner, African Mission Healthcare Foundation, is requesting $1,097 to cover the cost of Gift's spina bifida closure surgery. The procedure is scheduled to take place on November 21. This procedure will hopefully spare Gift from the risks associated with her condition, instead allowing her to grow and develop along a healthy trajectory. Woobens is a toddler from Haiti. He lives with his parents, who are farmers, and three older siblings in the mountains of Northern Haiti. Woobens has a cardiac condition called patent ductus arteriosus. A hole exists between two major blood vessels near the heart. Woobens also has Down syndrome. On October 9, he will undergo cardiac surgery at St. Damien Hospital, our medical partner's care center. During surgery, Surgeons will use a patch to close the hole near his heart. Another organization, Gift of Life International, is contributing $5,000 to pay for surgery. Woobens's family also needs help to fund the costs of surgery prep. The $1,500 requested by our medical partner, Haiti Cardiac Alliance, covers cardiac exams and medications. His mother says, "I am hopeful that after this surgery, my son will start growing and gaining weight." Violet is a mother of five and grandmother of five from Malawi. She spends her time farming, cooking nsima (a local Malawian dish), and attending church services. Since August 2017, Violet has been experiencing sporadic pain in her stomach. She has been diagnosed with cervical cancer. She needs to undergo a hysterectomy, a procedure in which surgeons will remove her uterus. Our medical partner, World Altering Medicine, is requesting $650 to fund Violet's surgery. On September 21, she will undergo gynecological surgery at Nkhoma Hospital, our medical partner's care center. The requested money pays for supplies, medications, and seven nights of hospital stay. Her family was apprehensive about the surgery at first, but now understand that it will help save her life. She says, "I am excited about this service and the good treatment I will get at this hospital." Nareth is a teenager from Cambodia. He has two brothers and two sisters. 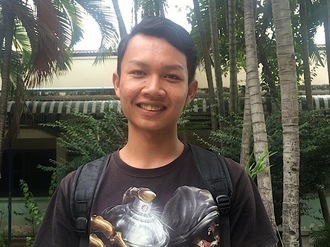 He likes studying Khmer language and physiology. He wants to be a cook when he grows up. Two years ago, Nareth cut his hand on a piece of glass on accident. His hand is still numb, and he has no feeling in any of his fingers. He needs to undergo a nerve exploration and nerve graft procedure to regain function of his hand. Fortunately, surgery is scheduled for August 7 at our medical partner's care center. Now, his family needs help raising $497 to fund the procedure. Josphat is a man from Kenya. He is a father of three children and is married. His wife is a casual laborer. In 2015, Josphat fell from a ladder. He suffered a spinal injury that has restricted his movement and ability to work. He has been to several hospitals trying to get treatment. After an MRI, he was diagnosed with a spinal injury and needs surgery. 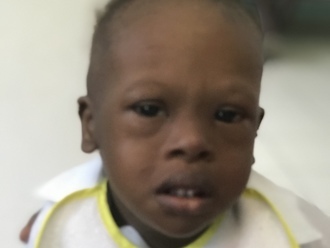 Josphat was referred to our medical partner's care center, where he is scheduled to undergo a spinal fusion surgery on July 24. Our medical partner is requesting $1,500 to fund this procedure. San is a 55-year-old woman who was born and raised in Thae Phyu village in Yangon Division, Burma. She lives with her husband, son, two daughters, son-in-law, and two-year-old grandson. She and her family are all subsistence farmers on their own land, which has pigs, chickens, and produce. In her free time, San likes to watch TV. When she was 14 or 15 years old, San first noticed a small growth on her neck—the start of the goiter. It was the size of the tip of her pinky finger. Her parents suggested she go to the clinic to investigate it and get surgery, but because it did not cause her pain or any other problems, she did not do anything about it. Gradually, as she aged, and with each of her four pregnancies, the goiter grew in size. Over the years, many people told her she could get treatment. In the last year, the goiter has started to make eating and drinking uncomfortable. Fortunately, she visited our medical partner and is scheduled to undergo thyroid surgery on June 18. She needs help funding this $1,500 procedure. 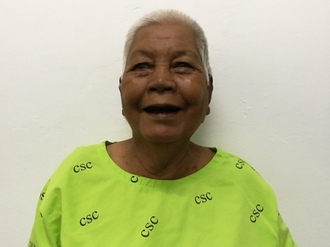 She hopes that the surgery will make her neck better and allow her to continue to do her farm work long into the future. Sandar is a 35-year-old woman from Thailand. She never attended school, living in Burma until very recently. She likes to look at pictures in books and would like to learn how to read. In summer 2017, Sandar's mother noticed that she was walking with her hands out in front of her as if she had difficulty seeing. Over time, her eyesight worsened, to the point that she now needs to use a wheelchair because she is unable to see. 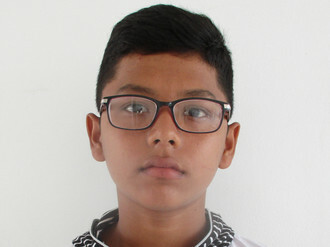 Our medical partner, Burma Children Medical Fund, is requesting $1,500 to fund lens replacement surgery for Sandar. On April 17, doctors will perform a lens replacement, during which they will remove Sandar's natural lenses and replace them with an intraocular lens implant in each eye. After recovery, she will be able to see clearly. Now, she needs help to fund this $1,500 procedure. “She always liked to look at pictures in books and I know she would like to learn to read," said Sandar’s sister. “If after surgery she can see well, I would like to send her to a school."